ILIGAN CITY -- Prior to a life as a fiery radio commentator, Fernando “Nanding” Solijon escaped death three times. According to his brother Jerriel, who spoke before necrological rites at the Public Plaza Monday evening, Nanding first came face to face with death while he was around 12 years old in the hinterlands of Manticao, Misamis Oriental where the Solijon brood was raised by farmer-parents. Nanding accidentally stepped into a cut tree that slid and raced him down a hill. He was lucky to hide behind a large stump, hence avoided a direct hit. Years later, Jerriel recalled, Nanding was swept by onrushing floodwaters in a river. His family thought he drowned, only to find out when the flood subsided that Nanding clung to the roots of a large tree that grew along the banks. In his senior year in high school, Nanding was suspected as a communist rebel and mauled by soldiers. His family found him bloodied and unconscious after the physical assault. “He was very lucky to have survived,” narrated Jerriel. Fate caught up on the 48-year-old Nanding evening of August 30 through eight gunshots. On Tuesday, more than 500 mostly ordinary people brought him to his final resting place at the St. Michael Cemetery here. 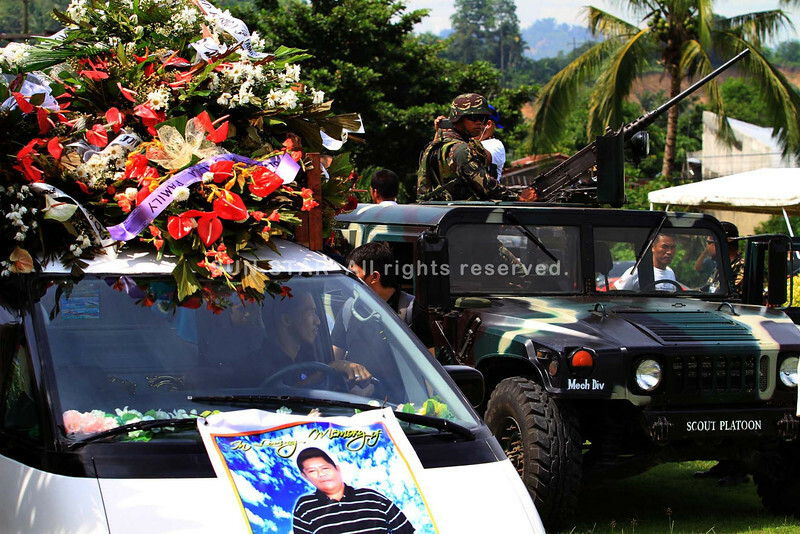 A funeral march led by local journalists brought Nanding’s remains from the City Plaza, where it stayed overnight for public viewing and vigil, to the cemetery chapel for the 8 a.m. Requiem Mass. The mourners carried placards mostly bearing messages condemning the grisly incident, which is the 35th unsolved murder in the city since June. “Patyon na diay karon ang mga kritiko?” screamed one placard. If found to be work-related, Solijon’s case could be the 159th journalist killing in the country since democracy was restored in 1986, said JB Deveza, Mindanao Media Safety Officer of the National Union of Journalists of the Philippines (NUJP). Solijon hosts Sandiganan (Defender or Refuge), a widely popular one-hour blocktime public affairs program in dxLS-Love Radio that airs Monday to Friday. He has been a radio blocktimer with DxLS since 2006, said station manager Rudy Catubay. Solijon was then carving a listenership base here after moving from Ozamiz City. “As we bury Nanding, let us commit to keeping alive the public’s longing for truth,” Francisco Dosdos, president of the Lanao Press and Radio Club, urged colleagues. Amid the state of mourning the killing brought and its chilling effect, Dosdos noted “a silver lining” in the incident: an outpouring of positive sentiment and public support behind media professionals. When Solijon’s remains were brought for public viewing at the Public Plaza Monday afternoon until Tuesday morning, hundreds of people lined to meet the man many of them knew only through his voice. 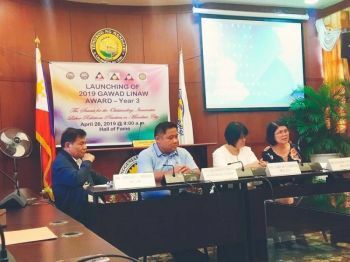 In Iligan, radio is the principal platform for public discourse. Some 44 months ago, a handful of local activists joined journalists in an indignation rally at the Public Plaza after the Maguindanao massacre of November 23, 2009. “The killing of Nanding is really chilling. It was hard at first to imagine that while we in the station commemorated yearly the Maguindanao massacre, this happens now to one of our own here,” Catubay told the throng of people. “Your show of sympathy somehow lightens the impact of this great loss to us,” Catubay added. “Why resort to killing Nanding? If they have grievances, they can always go to court. If they think they can silence us, they are dead wrong,” said Norberto “Boy” Altres, Solijon’s colleague at dxLS, during the necrological rites Monday evening. Elmer, a Sandiganan fan, told the Sun.Star Cagayan de Oro that days prior to Solijon’s murder, he tackled alleged financial shenanigans at the City Hall. On that Thursday, Elmer narrated Solijon entertained a succession of some six callers purportedly wanting to contribute a phone-in comment related to the issue. It turned out to be threats against his life, and issued on air, Elmer said. 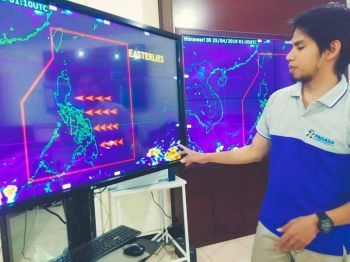 “Ding, andam na ang Capin para nimo,” Elmer recalled one of the threats that went live on air that Thursday. Capin is a funeral parlor here. On Monday, the National Bureau of Investigation (NBI) released cartographic sketches of the two suspects involved in the killing. According to the NBI, they were able to find witnesses in Purok 1 of Barangay Buruun who described the facial features of the suspects. Based on the NBI’s probe, the motorcycle-riding suspects were waiting for Solijon to come down from a house located on an elevated side of a hill. That evening, Solijon had a drink with a new radio colleague, Alvin Suan. While on the prowl for Solijon, the two bought two cans of sardines in a nearby store, hence, several people remembered their faces. The two cans were found near the cemented footsteps leading to the house of Suan. Probers also recovered the facemask used by the triggerman 50 meters away from where Solijon slumped after the shooting. 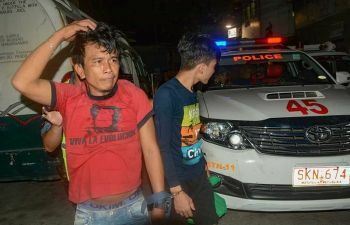 Witnesses told the NBI the getaway motorcycle was not able to start immediately, and in the process of troubleshooting, the facemask fell off.